While Samsung’s competitors are continuing to offer quad-core mobile processing solutions, Samsung looks to double what they’re doing by offering octa-core processors. This comes with a slight catch, however. The way it works is that there are two sets of processors on the chip, one set is a quad-core ARM Cortex A15, while the other consists of the ARM Cortex A7. The former is for performance, while the latter is for basic low-end tasks. Samsung claims that this could decrease power consumption by up to 70%. 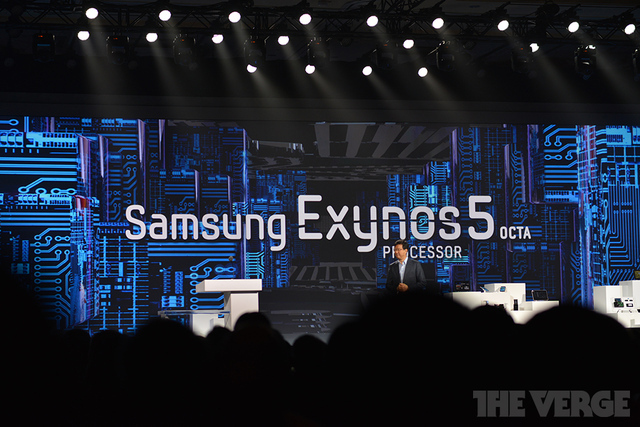 We’ll have to see how well the performance is once the Exynos 5 Octa is put into actual devices.